Pot pie is undeniably in the Top 10 American comfort foods: golden, flaky pie crust, fresh vegetables and a gooey gravy-like filling make for a hearty, stick-to-your-bones meal that can keep out the chill of even the most bitterly cold winter days. 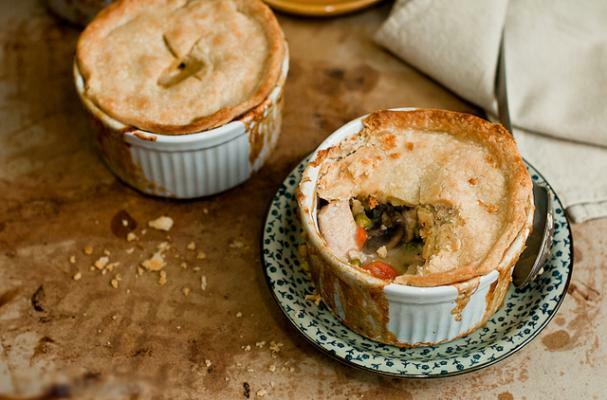 While chicken pot pie is the most common variety, these oven-baked delights are designed for adaptation! Start your ovens, this recipe is going to sweep you off your feet. Click here to continue reading Erin's recipe on Naturally Ella!